Tour de force . . . Ingrid Spencer, contributing editor of Architectural Record, curated this year's Dallas Modern Home Tour, which will be held on Saturday, January 28. 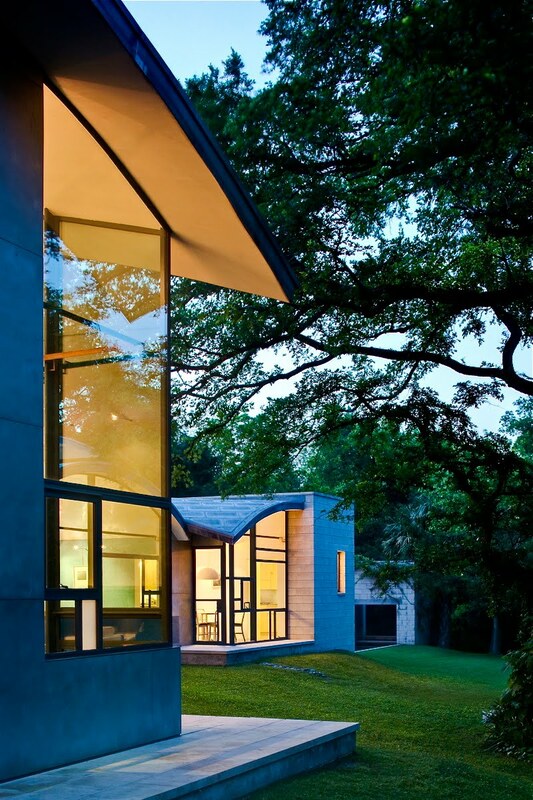 I caught up with her in Austin, where she talked a little about her love of architecture, and of course, about some of the highlights of the Dallas tour, including the amazing Stretto house in Preston Hollow, designed by NYC-based architect Steven Holl, who just won the AIA Gold Medal for 2012. Why does architecture fascinate you? As a child I traveled to Europe, South America and Saudi Arabia, where I was introduced to different cultures, lifestyles and of course architecture. Back home in the U.S., growing up in Northern California, I recognized how residential architecture makes a huge difference on how you live. My two best friends each lived in homes built by the iconic Joseph Eichler that were airy and integrated outdoor and indoor spaces. I still consider those to be an almost perfect kind of house! Then I moved to San Francisco where I lived in a Victorian flat that was narrow, tall and ornate. These spaces will make you feel completely different! Moving to New York and working at Architectural Record was where I truly became immersed in design and developed a passion for what architects do. I find that architects are able to bring just the right amount of art and science to their craft. It amazes me, and I’m always so inspired by what they do and how much enthusiasm they have for their work. What houses made the cut? We looked at 20, maybe more. Curating the tour means finding the right mix of houses to make it really interesting for attendees. We want a variety of modern homes. We also take location into account, as it is convenient to have homes on the tour near each other. Everything from square footage to construction costs to completion dates is considered. It’s all about the mix! Architects, builders, realtors and even homeowners made submissions. 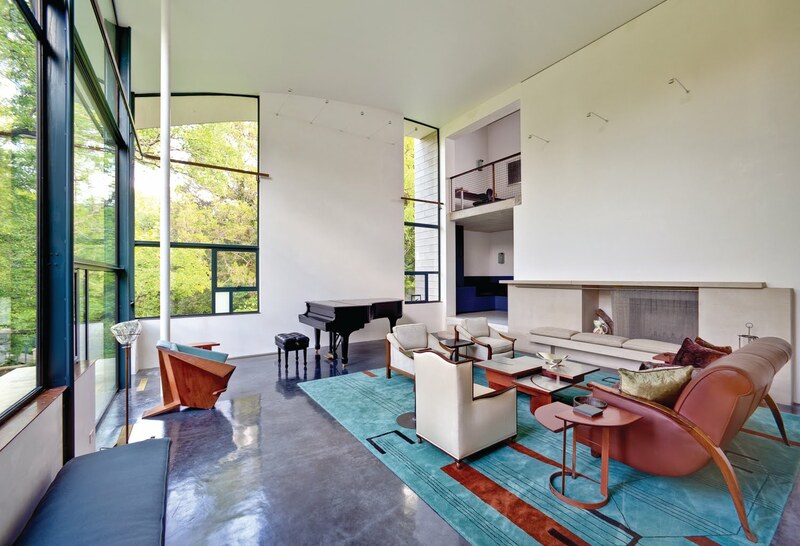 We also find houses by actively pursuing architects who are known for great Modern design, in addition to seeking out new, emerging firms. The Stretto house is amazing. Tell us more! Having the Stretto house on this tour is a rare treat! It’s amazing to have the chance to go inside this home. Steven Holl, who was just awarded the AIA Gold Medal for 2012, created this house in 1991 for art collector clients who gave him free reign over the design. The writer Goethe talked about architecture as being “frozen music” and that’s literally what this house is! 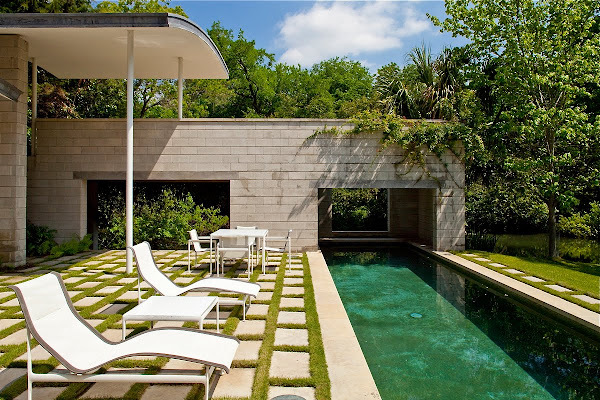 Holl was inspired by Hungarian composer Belá Bartók’s music that uses “stretto,” or a kind of overlapping of musical phrases, after he saw three ponds on the property that flowed into one another. 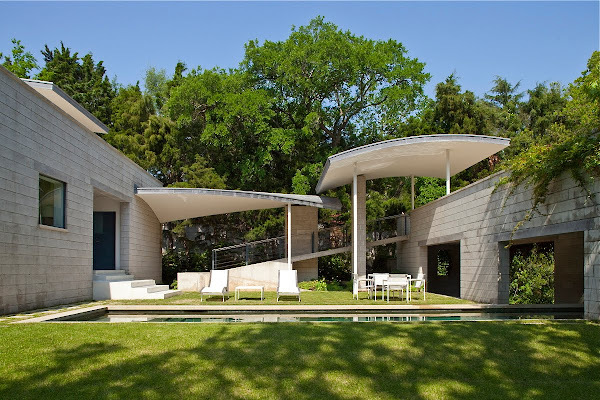 He designed the house as a four-part architectural score, if you will, with overlapping elements of heavy masonry and curved metal. 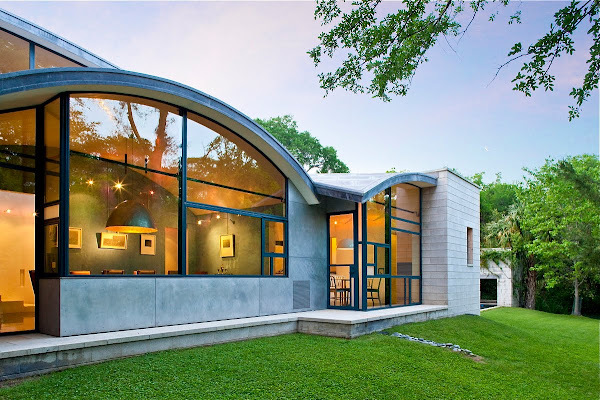 Julie Iovine from the New York Times Magazine in 1994 said about the project, “The result is a symphony of interconnected masonry and limestone pavilions whose arched roofs rise like musical crescendos, then dip with the undulating landscape.” What’s not to like about those curves! Any surprises? What really surprised me about the mix of houses we chose was the variety of volumes. There are levels and angles, and some of them even have curves! That may not sound too shocking to you, but to me, as someone who prefers right angles, I was surprised to find myself really appreciating the unusual forms found among these houses. Give us some highlights from the tour. Well, something I really love about many of the houses on this tour is how the architects have avoided a side effect common to Modern design known as “white box syndrome”. People often associate Modernism with a very stark white box, much like a gallery space, but that doesn’t have to be the case. 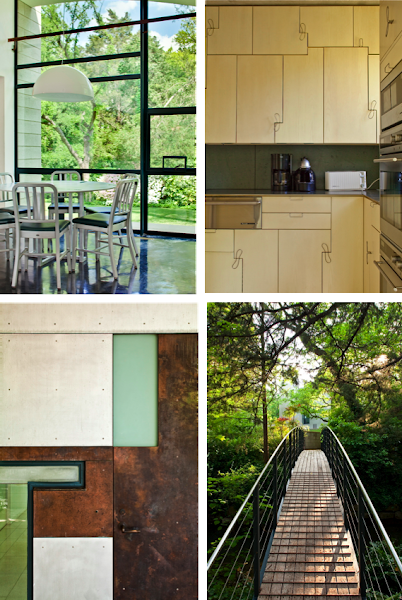 There are ways to add warmth to spaces through texture and color. 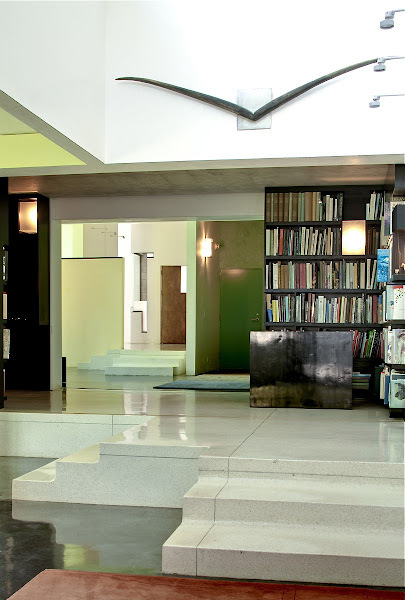 You can see this demonstrated so well in Domiteaux Architects’ house on Middleton Road. That residence is a great example of how using a combination of wood, cement, painted surfaces, stone and glass can make for interesting and beautiful living spaces without overdoing it. It takes a deft designer to pull that off. The house on Hillside, by Raymond Design, also demonstrates how materials—metal mesh, steel, granite, cement blocks, wood, paint—can be used to keep living spaces from becoming too spare. More about Ingrid Spencer Ingrid Spencer relocated to Austin in mid-2004 from New York City, where she served as managing editor of the National Magazine Award-winning magazine Architectural Record for five years. She is now a contributing editor to that magazine. Ingrid began her career in publishing with Miller Freeman Inc., in San Francisco, where she worked at various technology publications. She moved to New York in 1996 to be managing editor of the award-winning magazine Contract Design. Her published work includes articles in Texas Architect, This Old House, GreenSource, SNAP, The Blanton Museum's magazine Articulate, Businessweek.com, and My House.